Hi guys! I'm so sorry that I've been MIA (except for an occasional share on Facebook) for the past week. My father-in-law has suffered from Parkinson's disease for a few years, and his health has been declining. He took a turn for the worse, and my husband and I went out of town to be with his family. He passed away while we were there, so our trip was extended. I was thankful that I was able to be there for my husband, and that we got to say our goodbyes to a wonderful man. I count myself lucky that I got a great set of in-laws, and they treated me like one of the family from the beginning. Anyway, once I got back into town, it took me a few days to get caught up on things and get back into the swing of things. 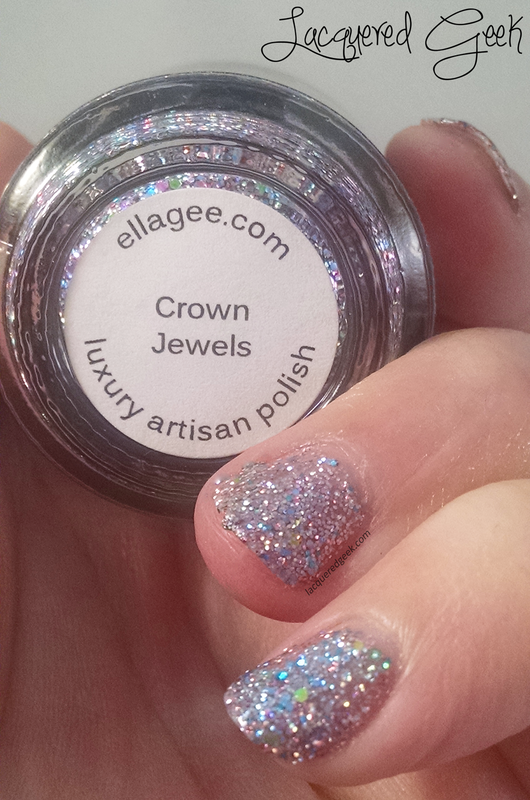 Now on to the polish... today, I want to share "Crown Jewels" from ellagee. 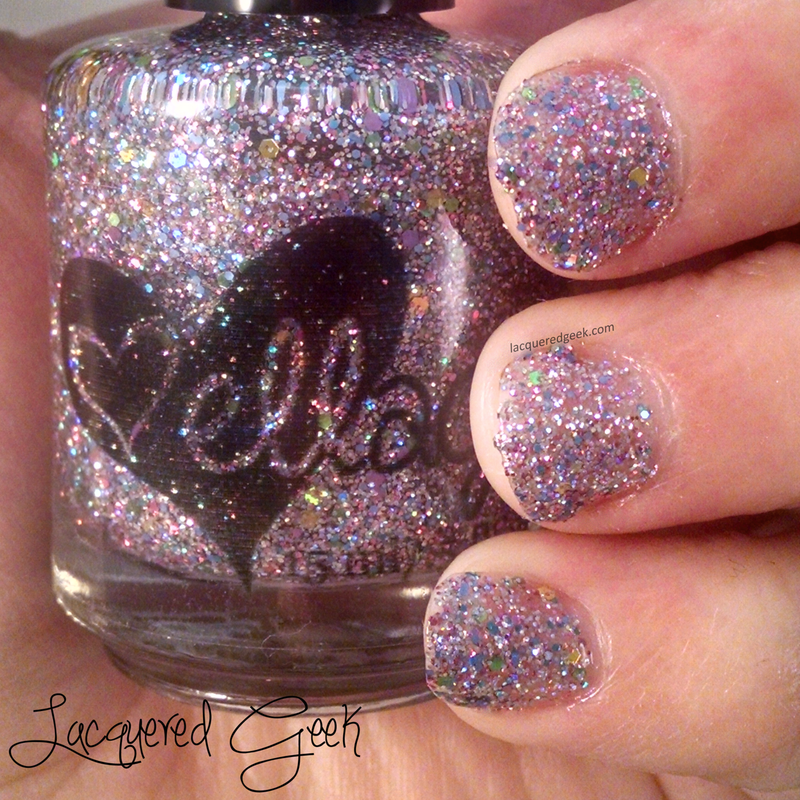 I am going to warn you that this post is a bit picture heavy because this is polish is gorgeous! Crown Jewels is like the pastel cousin to Jewel Encrusted. 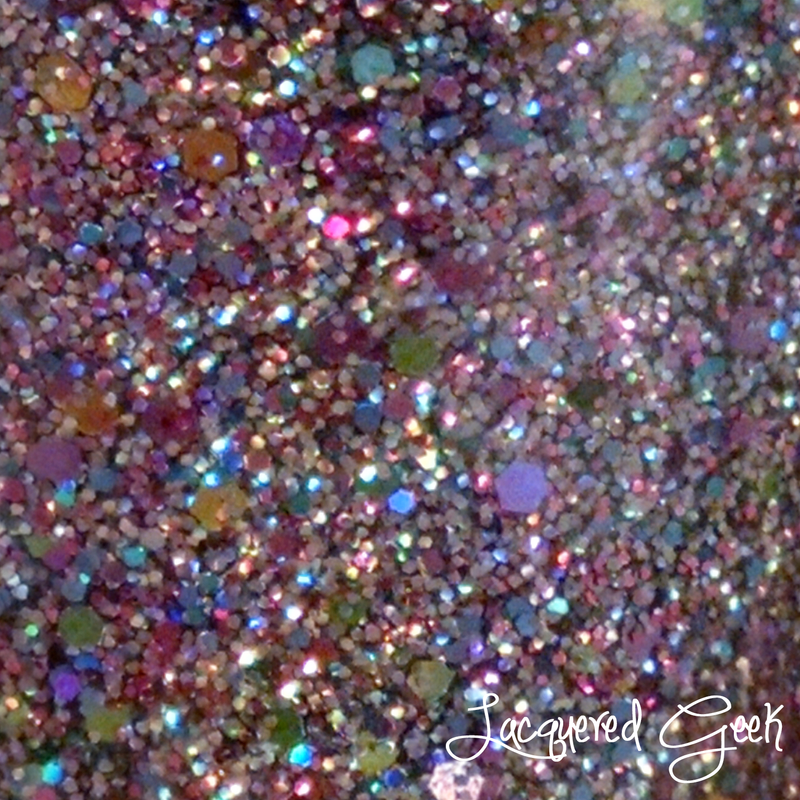 Crown Jewels is described as a "mix of metallic and holo glitters in multiple pastel jewel tones with holo and pink microglitter." It is so freaking pretty, and crazy blingy! I am wearing 3 coats of Crown Jewels with a topcoat. 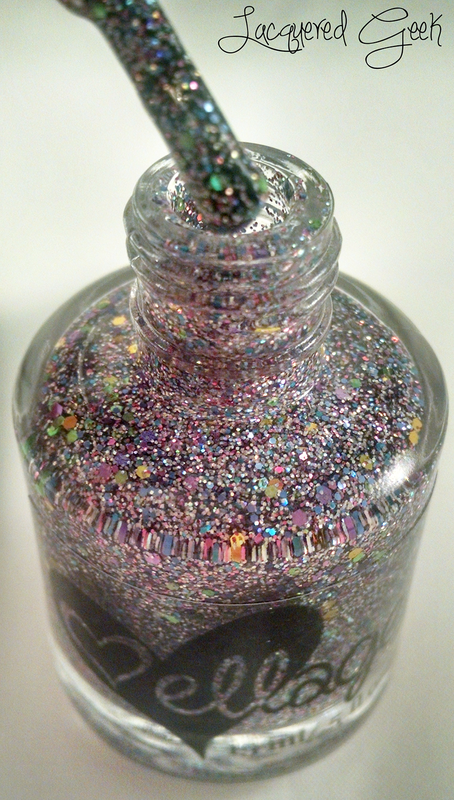 The polish is a bit thick, but I always expect that in glitterbombs like this one! 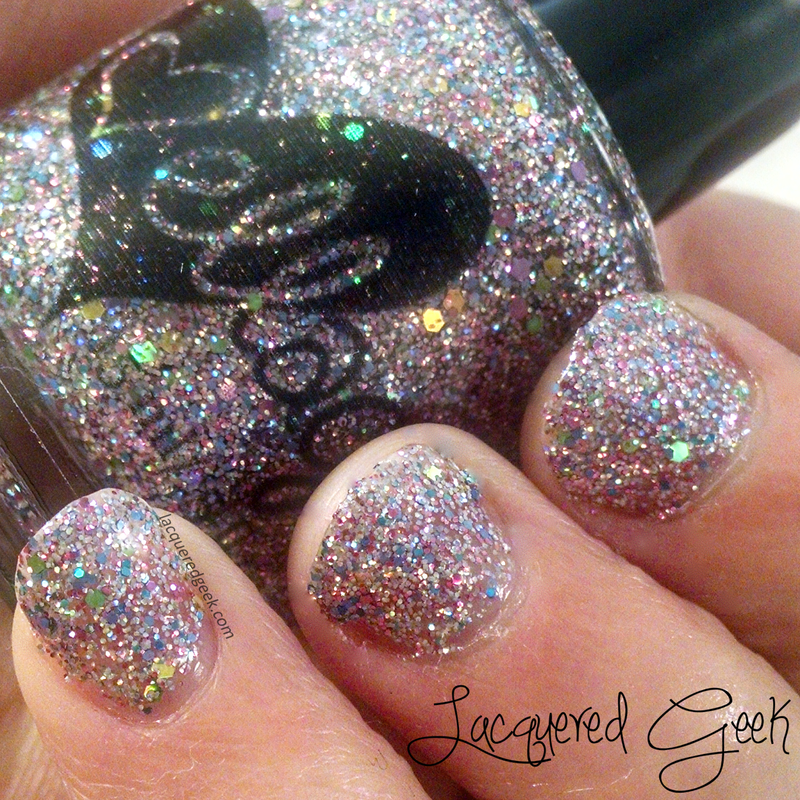 You can see how jam packed with glitter Crown Jewels is in these photos! You can pick up Crown Jewels in ellagee's shop. 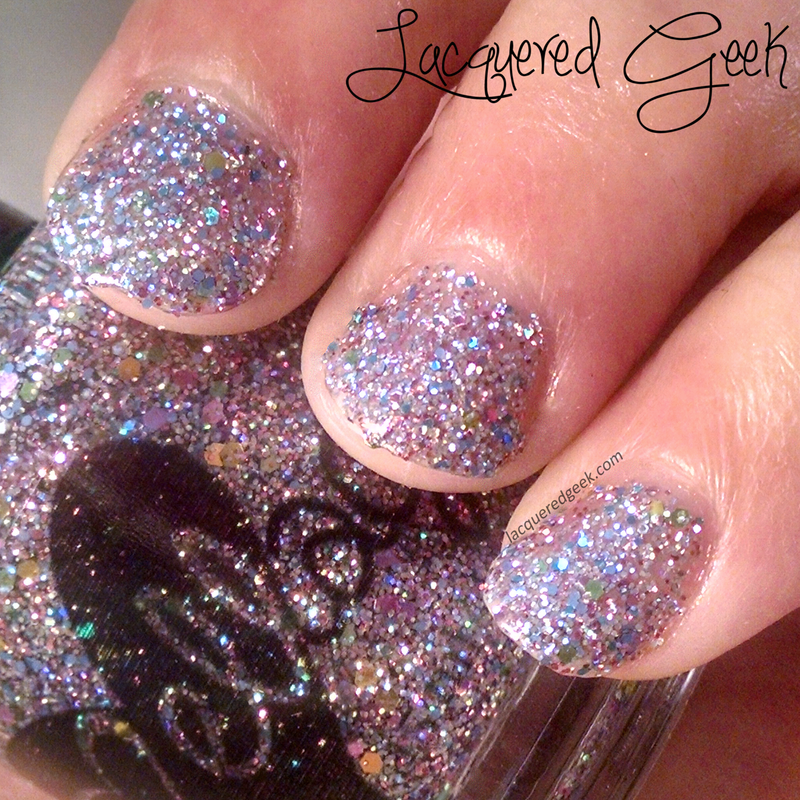 I have my fingers crossed that more polishes like Crown Jewels and Jewel Encrusted show up in her shop! Have you picked up Crown Jewels, or Jewel Encrusted, yet? Do you plan to? Zoya Matte Velvet: Posh and Savita ... plus a giveaway! HPB October Halloween Mani Link-Up! Check me out on IG! Copyright © 2014 Lacquered Geek. No copying or republishing without written permission. Simple theme. Theme images by sololos. Powered by Blogger.